The Executive Board of the International Monetary Fund (IMF) has decided to include the renminbi (RMB) in its basket of reserve currencies. The RMB, or yuan, has joined the US dollar, Euro, British pound and Japanese yen to become the fifth member of the basket used to value the Fund’s own de facto currency, the Special Drawing Rights (SDRs). On the surface, the impact of the decision looks relatively modest. The value of the SDR will be based on a weighted average of the values of the basket of currencies. Only about 2.5% of the US$11.5 trillion of foreign reserve assets are held in the form of SDRs, of which the RMB is expected to account for 11% of the basket (higher than the yen and the pound). Looking more broadly, however, the inclusion of the RMB (aka the “redback”) in the SDR’s currency basket is bound to have profound implications. Apart from the RMB’s new acceptance in international trade, settlement and investment, the ultimate aim is to be accepted as a reserve currency, used by central banks to hold foreign exchange reserves. It is estimated that the SDR inclusion should lead to about US$42 billion of reserve assets being rebalanced into the RMB by central banks and reserve managers, in the medium term. According to the IMF, the move is “an important milestone in the integration of the Chinese economy into the global financial system”. 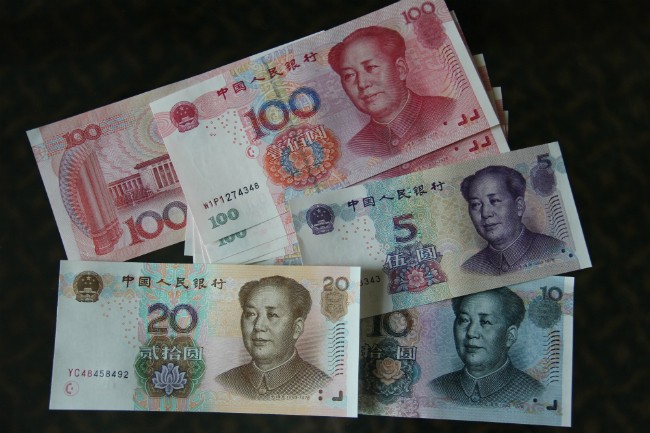 It is also an important milestone in Beijing’s campaign to internationalize the yuan. As Robert Mundell, “father of the Euro”, declared, “great powers have great currencies”. For China, this is an essential step in fulfilling its ambition to crown the yuan a global reserve currency. In fact, the RMB is the first currency not issued by a major advanced economy to make it to the IMF basket. More importantly, the IMF’s decision comes at a crucial time for the Chinese leadership as it seeks to demonstrate to constituents international recognition of China’s rise as a global power. The IMF’s RMB decision also sets a precedent for the SDR basket that a basket currency is not yet fully convertible and under capital control from its issuing country. This has led to criticism that the IMF is “bending the rules” in favour of China. The IMF, on the other hand, sees the move as a reward of “the progress that the Chinese authorities have made in the past years in reforming China’s monetary and financial systems”. Indeed, the SDR inclusion has arguably been the most attractive lure for Beijing to undertake a series of reforms of China’s financial regime. In order to meet the IMF’s criteria of “freely usable”, China took a “whatever it takes” approach. It liberalized domestic interest rates, aligned the RMB’s exchange rate more along its market value and opened up the interbank market to foreign central banks and sovereign funds. Its treasury even issued short-term (three-month) bonds in order to complete the yield curve for RMB assets, which was seen as a prerequisite for the RMB’s SDR inclusion. Efforts have also been made via some closed-door financial diplomacy to lobby IMF member countries for the RMB’s case. Member countries and the market will now make preparations ahead of the October 1, 2016 date for inclusion of the RMB. It may be the last mile for the RMB’s SDR journey, but there is still a long way to go to launch the redback in the global arena. Beijing may have convinced the IMF, but a more daunting challenge will be to convince the market. To do so, Beijing needs to demonstrate its commitment to continuing financial opening and liberalization, to credible monetary management, and to independent decision making on the part of its financial regulators. In other words, the reforms must go on. With the long awaiting inclusion of the RMB by the IMF, the external world has lost a vital leverage in empowering reformers and inducing domestic reform in China. Without external pressures, only the internal momentum of the reform will allow the RMB to walk the last leg towards true internationalization. Dr Hui Feng is a research fellow at the Griffith Asia Institute. Dr Feng’s research looks at the political economy of post-communist transition with an empirical focus on China. Before joining Griffith, Dr Feng was a research fellow at the University of Queensland. He has published in prominent journals such as Political Studies and Review of the International Political Economy, and is the winner of the Harrison Prize for best paper published in Political Studies in 2014. His most recent book is The Rise of People’s Bank of China: the politics of institutional change (with Stephen Bell, Harvard University Press, 2013). His forthcoming books are on China's banking reform (in manuscript) and capital account opening (edited volume with Imperial College Press).